Home Features	Trading Finally Makes Its Way to Pokémon Go! 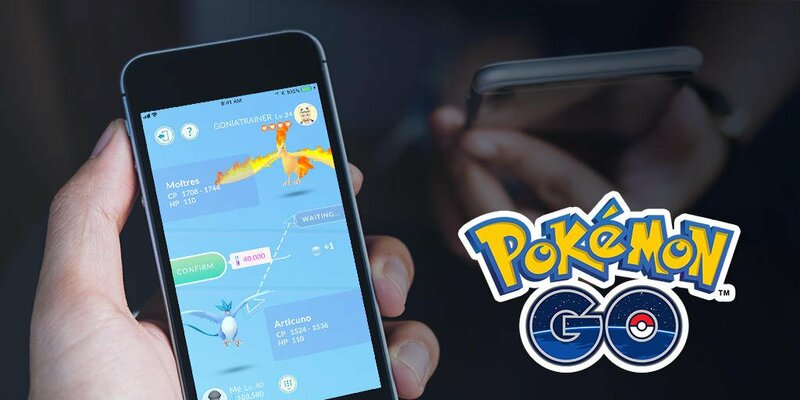 This morning, Niantic made one of the most exciting announcements to date, letting Pokémon Go players know that trading is on its way. 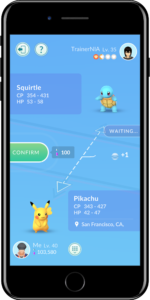 With this new feature, not only will Trainers have the ability to add Pokémon to their collection, but also new opportunities to earn rewards and become even closer to their fellow players. 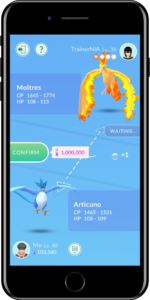 Although the feature won’t be here until later in the week, Niantic did give a sneak peek as to how things will work. Trades will be dependent on two things; Stardust and Friendship Levels. To trade with someone, you’ll need to be within 100 meters of that person, and each be at least Trainer level 10. Each player will have to pay a certain amount of Stardust when making a trade. 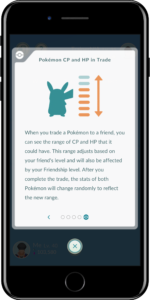 However, the amount required can be decreased depending on the Friendship Level between players. Friendships will have 4 levels ranging from good to best. 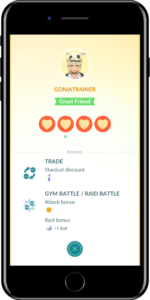 Trainers can increase their friendships by raiding and gym battling together as well as through trading and sharing special gifts. (Doing things together also earns you special rewards). Special gifts can be acquired from spinning Pokéstops and Gyms. 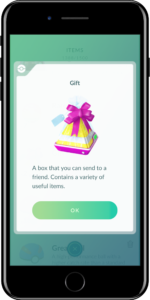 These boxes, which are to be given away, will contain a variety of useful items and, on occasion, an egg that will hatch into an Alolan form of a Kanto region Pokémon. Although it appears that general trading can be done for reasonable amounts of Stardust, it gets a lot more expensive when it comes to Special Trades. A special trade is one that involves a Legendary, a shiny Pokémon, or a new addition to someone’s Pokédex. You’ll be able to do 1 special trade each day with a great or best friend. As you can see, there’s a big difference in Stardust requirements for players who don’t have best friend status versus those who do. This is where working those Friendship Levels will really count. One thing to keep in mind when trading is that the CP and HP of the Pokémon will change during the exchange. The final stats will be determined, at least in part, by the receiver’s Trainer Level and the Friendship Level between players. Be on the lookout for all of these new additions in the coming days. Until then, let’s get to increasing those Stardust levels! 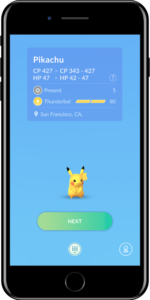 If you need a refresher on what Stardust is and how to get it, check out our article from our resident PGo expert, JVPBlackhawks20. 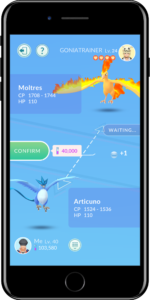 You can read today’s full announcement from Niantic on pokemongolive.com.